Fox Pest Control provides pest control in Hicksville and the surrounding areas. We take pride in providing exceptional customer service, and take to heart the feedback we hear from each and every one of our customers. 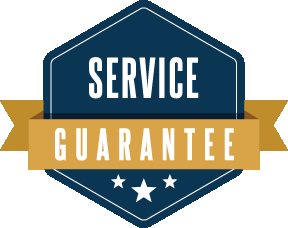 Below you’ll find our reviews, testimonials, and feedback from the home owners and businesses in Hicksville we’ve serviced. If you need a Hicksville exterminator, contact us today! Quick friendly and knowledgable service. All very friendly and professional. We were very pleased with the service as well as the employee who provided it... quite thorough and very friendly and informative. The salesman was so very nice. He was knowledgable and very helpful. Very personable. Felt re-assured that problem will be solved. Exceeded expectations. Great service. Jose was fantastic. Took very good care around the house with the chemicals. Was very cautious with the treatment, being which we have an older dog. I would highly recommend your company. Jose is an asset to your company. The young technician that services my home is very thorough and courteous. The staff at Fox is friendly and they really work hard to get the job done. Thanks again. Amazing work! Fox Pest Control came to my home for an ant extermination. Not only did he do the job; but he even educated me on each step of it. Markedly great expertise and integrity when it came to pricing. Fox Pest Control has my business; you should use them as well! Thank you for your hard work; Stirling.